you bargained for means more money for the honeymoon. From our elegant grand ballroom with sky-high ceilings to sweet music that will have you tappin’ your feet and tripping the light fantastic, there is no better place to have your event than here. 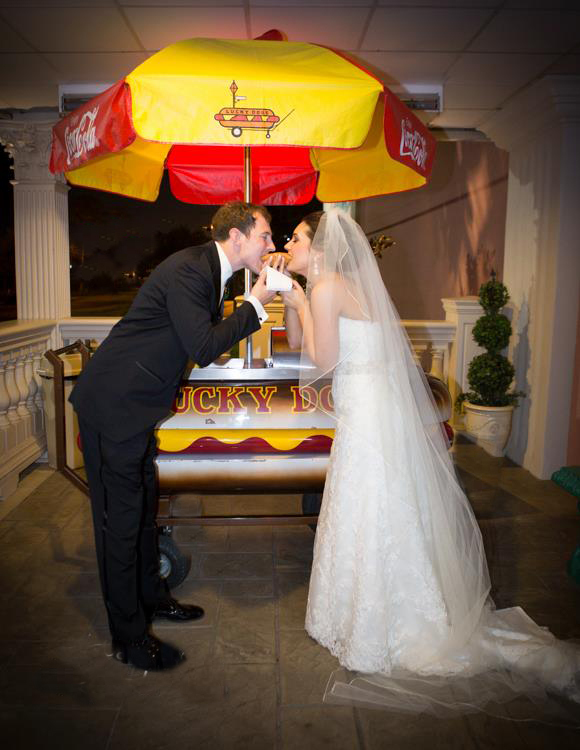 And no other venue in New Orleans offers all inclusive wedding packages quite like the The Balcony Ballroom. Happily ever after. Now in every shade imaginable. Our chefs are second to none. And because we make everything on-site with only the freshest of ingredients, you can believe that every bite will be mouthwatering. With bananas flambeed before your very eyes and hors d’oeuvres ranging from classic tea sandwiches to mint-dijon lamb lollipops, there is literally nothing we can’t make. All you have to do is ask. And if you or any of your party has dietary restrictions or preferences, we can create a menu that will be as memorable as your first dance. (Chef Ryan Romain was born and raised in Marrero, LA , he is the oldest of 3 boys . From a very early age Ryan was motivated to always be able to get what he wanted and knew he would have to work for it. He decided to start working at his family’s newly opened Seafood Restaurant Hardheads at the age of 15 and his passion for the kitchen exploded. Working closely along side his uncles he got to see how a business, especially a restaurant was able to start-up Like most in the industry Ryan started as a dishwasher and quickly transitioned to learning the techniques that would ultimately shape the rest of his working career. Chef Ryan decided later after High School at Holy Cross to enroll in culinary school at Delgado Community College in New Orleans, Louisiana to further refine and educate himself in the field. While in culinary school he worked in multiple kitchens around the city and got to take in the different atmospheres. From small family owned business like Cafe Diblasi, a refined Italian eatery, to the non-stop big hotel chains like Marriotts, Chef just wanted to experience as much as he could . With everything happening in our grand ballroom, every single one of your guests will see your first dance, the garter toss, the bouquet toss and hear the incredible toasts from your family and friends. 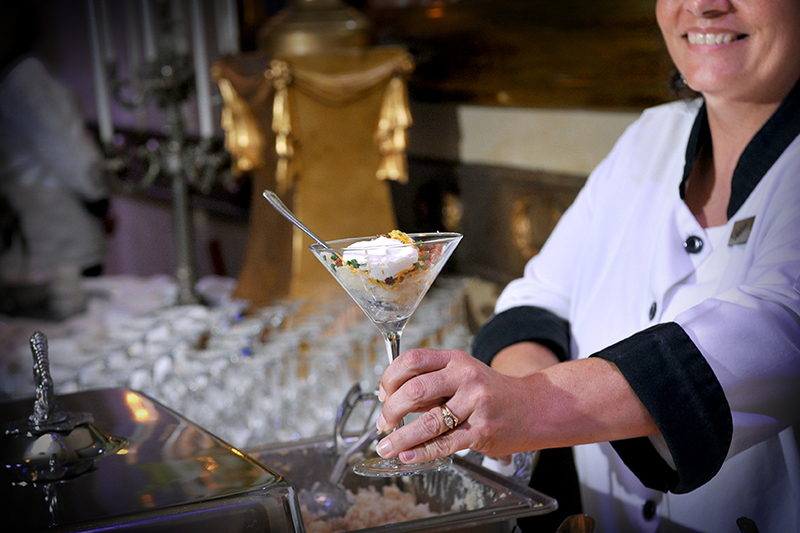 We serve each of your guests, so they don't have to serve themselves! Founders Mr. Johnny and his wife, Ms. Valerie with their staff, ready to serve! Our centerpieces will make your event gorgeous! We serve your cake on actual real plates!! !